There are plenty of amazing innovations on the horizon in global health care, but we’re seeing signs that 2014 could follow a back-to-basics theme. For instance, the fundamental hub-and-spoke business model is finally getting the love it deserves when it comes to serving the BoP. 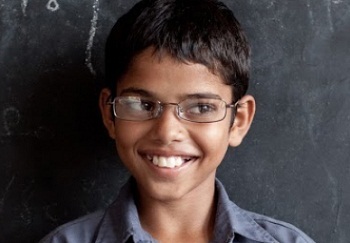 VisionSpring has become a rock star using this model to sell eyeglasses in El Salvador, India and Bangladesh. Company leaders assumed that “vanity is not monopolized by the rich,” and they’re proving it. They’re close to profitability – and sustainability – in El Salvador, according to COO Peter Eliassen, and business looks ever more promising in India, too. It’s all about finding a blend of customers, with those able to pay helping subsidize those who can’t pay as much. Other firms are noticing. Among them, ERC Eye Care in India has raised money to expand its eyecare network and launch its first hub hospital. And there’s this: A study of nine hospitals in India that deliver world-class health care at affordable prices found that all of them utilize a hub-and-spoke model. VisionSpring has developed a sustainable way to sell eyeglasses, left, at the BoP. Others are noticing. Photo provided by Esther Havens. “High-quality talent and sophisticated equipment” are concentrated in urban hubs, while spoke facilities in outlying areas focus on diagnosis and routine treatment. The result is lower costs and higher quality of care, when compared to traditional models. Which highlights another tried-and-true practice that could continue to flourish in 2014: cost-effectiveness instead of cost-cutting. We see it in the financing of critical medications. Historically, the high cost of R&D has stunted the development of new medicines for the BoP. Enter J.P. Morgan Chase & Co. and the Bill & Melinda Gates Foundation, which in 2013 launched a $94 million impact investment fund for developing drugs and delivering health care in the developing world. The fund addresses a basic problem in a common-sense way. And so does an emerging market-based approach to insurance for the poor. Speaking of common sense, how about the rise of “sanitation entrepreneurs” in 2014. The lack of sanitation has been called the world’s biggest problem, since 40 percent of the world’s population lacks access to even a simple latrine, and one child dies every 15 seconds due to contaminated water from human waste. It’s not an issue that cries out for R&D so much as access and education. 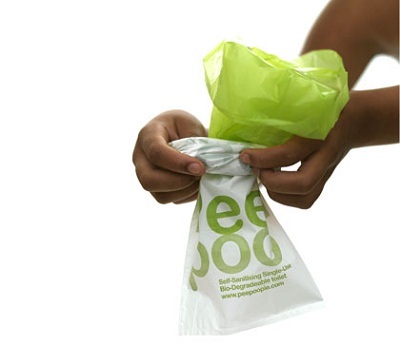 Peepoo, left, is a personal, single-use, fully biodegradable toilet. Photo provided by www.peepoople.com. Dr. Patrick Lukulay, vice president of the U.S. Pharmacopeial Convention’s Global Health Impact Programs and program director for the USAID-funded Promoting the Quality of Medicines program, told NextBillion Health Care that hygiene is the most glaring omission in conversations about health care delivery at the BoP. There are many examples that change is coming, and some of it is incredibly creative, such as “poo” mascots walking around malls. Perhaps lower in profile, but certainly not in importance, is Global Handwashing Day, with the seventh annual observance set for Oct. 15 this year. When it comes to hygiene, all the experts seem to agree that small steps can lead to incredible results. If that’s not a focus in 2014, it should be.